Ever heard of the Nutribullet? Have you ever tried eating a whole plate of vegetables and fruits? If you're just starting out in the Paleo Diet, you'd rather choose meals with meat, eggs and bacon than kale, broccoli, spinach, etc. I admit it. It's hard to eat your greens. But instead of eating them, why not "drink them". I would like to retain the fibers from fruits and vegetables. I'm talking about blending or drinking "green smoothies". When you drink "smoothies", you'll be satiated much longer because you are consuming the fiber from fruits and vegetables. Fiber is beneficial to your body because the resident bacteria in our digestive system utilizes it to release metabolites in our gut that our body needs. Equipped with this knowledge and information, I went online to search for the best blenders that I could find. This research led me to finding the Nutribullet extraction machine. Dubbed as one of the fastest and best selling item today, I went to purchase it and find out if this is indeed a useful blender that I could use in my journey to consuming more fruits and vegetables. For less than $100 I got a powerful new extraction machine online (from Amazon).​ If you'll ask me that's a pretty good deal because I was also able to take advantage of Free shipping because I was an Amazon prime member. Don't worry if you're not an Amazon Prime Member yet, there's a 30-day free trial just in case you wanted to try it out first. And it's entirely optional too. I felt like a kid unboxing the Nutribullet. It was a nostalgic feeling. I'm excited because I knew that this kitchen appliance will play an important part in my Paleo journey. For some reason, I know it will be important for you too! A Nutriblast is just a fancy term for different recipes and drinks made with the Nutribullet. Their marketing team have used this term to help differentiate the Nutribullet from tons of other blenders and recipes out there. For me, the term Nutriblast and extraction machines have been added to my vocabulary. As my first green smoothie drink made by the Nutribullet 600, I started with something that any beginner would love. This nutribullet recipe is so deliciously that you won't even noticed that you're drinking "vegetables" because the sweet taste of the fruits masked the bitter taste of veggies. Also, the veggies that I've used in this recipe is just spinach. Spinach doesn't have that strong vegetable taste unlike Kale and Broccoli. Here's my Starter Spinach Recipe just in case you want to try it out. Combine all ingredients in the Nutribullet cup. ​Fill it with water up to the max line. Don't overfill or else you'll increase your risk having leaks while making your drinks. *Don't be limited with these ingredients. You may try different combinations of fruits and vegetables. One thing that has really interested me is looking for research data first about a particular fruit and vegetable. ​For example, spinach has been found to have high nutritional value and apples a﻿﻿re rich in phytochemicals which are beneficial to our bodies. Just like any kitchen appliance, the Nutribullet comes with various parts and accessories. It also includes a recipe book too! Most packages of the nutribullet comes with a 12-piece set that includes the motor, the blades, 2 dishwasher safe cups, manuals and recipe books. If you're a power user, you'll probably use the tall cup daily to create your "nutriblasts". Nutriblasts recipes are mostly Paleo compatible as long as you use Paleo ingredients (refer to the Paleo Diet food list that I've created). I have a juicer, what is the difference between my juicer and the Nutribullet? This is one of my favorite questions that I always encounter when someone sees my Nutribullet. They think that the Nutribullet and the Juicer are the same. But it's an entirely different kitchen appliance. 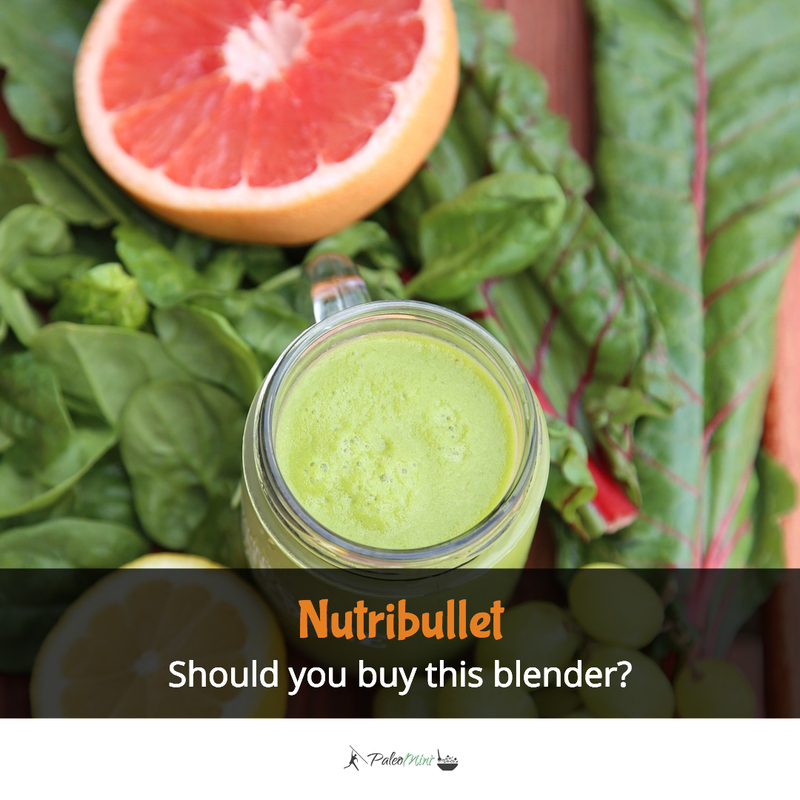 For starters, the Nutribullet is a blender or a smoothie maker. Unlike the juicer which throws away the fiber from fruits and vegetables, a blender retains those fiber and includes them in the drink. Because of that big difference you really can't compare a juicer with a blender. When it comes to results, both machines can create delicious and nutritious drinks. But if you want to remove the fiber from your drinks, juicers would be your choice for that. But if you want to feel more satiated after drinking, then retaining the fiber through your smoothie drink will pretty much accomplish that easily. Should I use the tall cup or the short cup? It depends on you. Personally, I've found that the short cup is too small for my needs. I usually make one batch for me and my spouse. The tall cup is perfect for both of us. The Tall cup is about 32 ounces when full and the smaller cup is 18 oz as advertised. But if you make your drinks, you need to fill it only up to the max line, so it's about 24 ounces for the tall cup and fourteen ounces for the small cup. I love to make jams and peanut butter, can it blend those? Can I use the cups and blades interchangeably with the older and newer Nutribullet models? 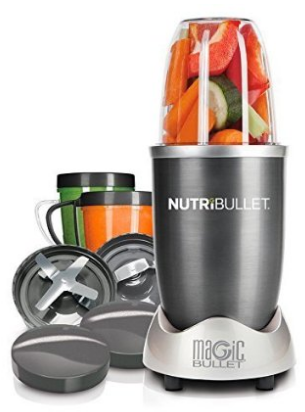 The only Nutribullet models that have compatible cups and blades are the original Nutribullet 600 watts model and the Nutribullet PRO 900 watts model. The rest of the Nutribullet family have different cup and blade sizes so they'll be specific for each model version. Can I crush ice to make chilled drinks with the Nutribullet? It is really not an ice crusher. If you want chilled drinks (which tastes a lot better), use frozen fruits instead. I usually buy frozen fruits and vegetables in Costco and freeze them. I then use mostly frozen fruits for my Nutriblasts and smoothies. Can the speed of the blender remove some of the nutrients? Some people are concerned that the high revolution per minute (RPM) of the Nutribullet can cause heat to build up and destroy heat sensitive nutrients like vitamins. First, you don't want to run the Nutribullet for more than a minute because it's dangerous for the motor as it could burn the coils. Second, heat can also build up if it's used for longer periods of time with each blending. I have heard some people having problem with "leaks". Is it really happening? After using the Nutribullet for months, I've never had a problem where my drinks started to leak when I was making them, except for one time when I overfill the cups with water and ingredients. I think this is where the problem started. When I've read more about it, people were ignoring the manual and instructions not to put more ingredients above the max line. So the key to avoiding spills and leaks is to follow the instructions: Never fill over the max line. Is the Nutribullet really loud and noisy? Yes, as with all blenders and juicers (except for the slow masticating juicers). A high powered blender and juicer can be quite noisy which is why I'll make sure that not a lot of people are sleeping when I'm making my drinks. Where can I buy the Nutribullet 600 watts or any of the other models? You can find the Nutribullet in most grocery stores and supermarkets. But you can also buy the Nutribullet online (my recommended and preferred method) because of convenience and practicality. And if you buy the Nutribullet from Amazon, you'll be getting a world-class support for your purchase as well as Free shipping if you're an Amazon Prime member. Click the button below to get your Nutribullet today!